Private Classes for Divorcing Parents | STEP-Carefully! for Stepparents! When the regularly scheduled classes do not fit your needs – either because the schedule will not work for you, or because you have a desire for more information for your family – we can schedule a private meeting. This will also fulfil the State’s requirement for a Divorcing Parents’ class. Private meetings, especially when both parents attend together, will deal with the personal needs of your family – emotional needs of your children, specific visitation scheduling issues, complex conflicts between parents or other family members, financial specifications for your children, etc. Scheduling private classes is unique, too. All you have to do is to call me – or text or email – and we will set up a time that is convenient. You’ll only need about an hour and a half for us to cover your family’s specific needs. Our meeting will cover the important basics also covered in the classes, but much of our time will be spent talking about your divorce, your children and their needs by age, your co-parenting, and your future with your children. Fee for this private meeting is only $35.00 per person. You’ll receive the same handouts as in the regular class and the Certificate the court requires for your divorce paperwork. But you’ll have plenty of time to ask all the questions you may have, and to make sure you are completely clear on your children’s needs. IF YOU ARE NOT ABLE TO COME TO FORT SMITH for the meeting, that’s no problem. 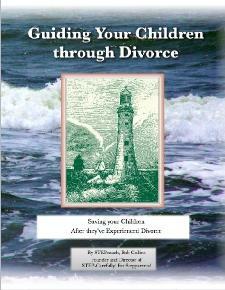 I often conduct the authorized Divorcing Parent’s private meeting via telephone and email. I will call you at the scheduled time. Our meeting will cover the exact same important issues for your divorce – your children’s needs as well as your own – and I will mail your original Certificate that same day. What could be easier than that? From your home or your office, you can be finished in less time than it takes to find a parking spot at Walmart!